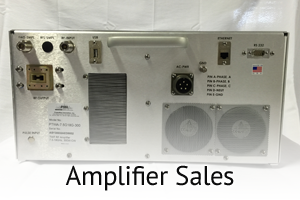 Generate stronger signals with our selection of RF power amplifiers and electronic systems. We manufacture and custom design solid state, traveling wave tube (TWT), and pulse models up to 2kW. 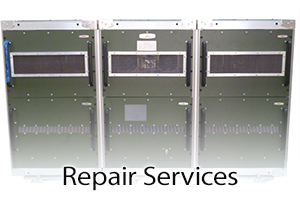 We offer repairs, upgrades, RF components, and amplifier software controller modifications. We have a service team on call ready to fix your problem. Request your own custom-made amplifier or repair work today. A privately owned manufacturing company in Sunnyvale, California, provides amplifier integration and a high-voltage power supply. Our engineering team has extensive experience in making user-friendly amplifiers utilizing the latest technology in control circuits for both commercial and military production. With knowledge in low and high frequency and broadband techniques, we create efficient, optimal designs from 1MHz to 18GHz to give customers that performance edge. PowerMax Innovation is committed to delivering innovative, quality products at fair prices to meet your requests. We aim to exceed customer specifications for service and performance. Our first-rate staff achieves this goal by focusing on continual improvement of customer satisfaction, on-time delivery, incoming quality, and quality management systems. We ensure you receive the exact amplifier requested.